1. Be stellar 80% of the time. No need to have the house sparkling or a gourmet dinner prepared (was this even a goal? ), being a part-time writer, part-time busy mother, part-time wife and all else means that something has gotta give. The great news is that being eighty percent fabulous is usually plenty. So let go of searching for the perfect Halloween costume, reuse another sibling’s with new extras. Help out at the school but once a week instead of three. Make dinner but use paper plates until dirty dish piles are diminished. Take a few shortcuts and you’ll find some of the to-do fat is gone and you’re savoring the good stuff. 2. Create a place and purpose for your writing. Most moms don’t have the luxury of a writing office (it’s usually the craft/sewing/computer/general abyss junk room). Clear a corner, chair, or tote bag for your WIP binder, notes, and techie gadgets. That way you always have a writing “home.” I use my bedside desk for administrative items for my business, Back to Basics, and for writing nonfiction like my blog posts, magazine articles, etc. For writing fiction, I use my husband’s massage chair by the picture window overlooking the forest. Using two places for two different kinds of writing helps my brain make those neuro-associations with my writing needs and does the subconscious prep work for me. As for purpose, don’t put “Write today” on your To Do list. Instead, put an appointment on your smartphone, with details like “Review last chapter, check research on two locations, type voice memo notes 1-4.” You’ll find yourself more productive and enjoying the process all because you know exactly what to do with your time. Give one of these try and let me know how it works for you! 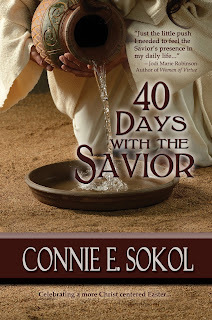 Connie Sokol is a mother of seven, and a sought after national and local speaker. 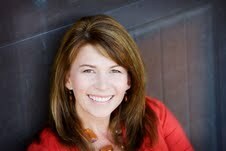 She is a monthly contributor on KSL TV’s “Studio 5” and regular blogger for KSL’s “Motherhood Matters” blog. She is a former TV and radio host for Bonneville Communications, and columnist for Deseret News and Utah Valley Magazine. Mrs. Sokol is the author of several books including the award-nominated romance Caribbean Crossroads, Faithful, Fit & Fabulous, Life is Too Short for One Hair Color Series, and Motherhood Matters as well as talk CDs and podcasts. Mrs. Sokol marinates in time spent with her family and eating decadent treats. Do you desire a more Christ-centered Easter? You’ll experience a more fulfilling Easter season with this collection of inspirational thoughts on trying to become more like the Savior. 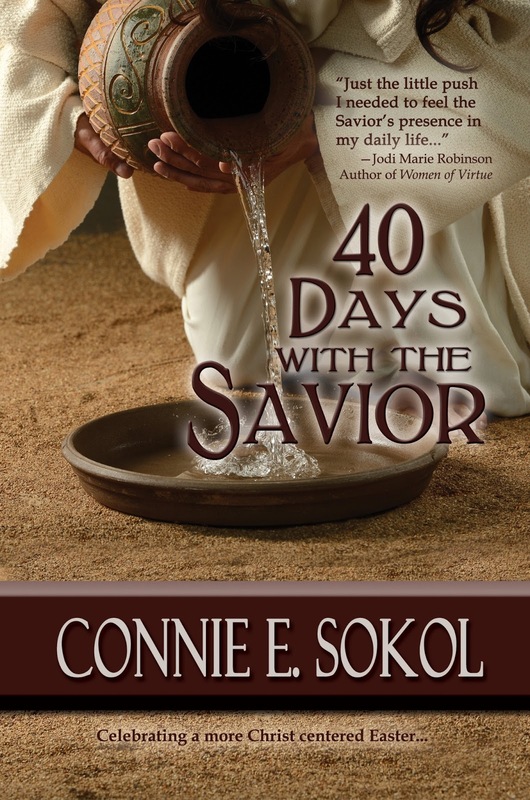 For forty days, enjoy a daily scripture and personal insight on a character trait of Jesus Christ. Learn more of who He was and what He taught. As you read these daily devotionals, you’ll feel a joyful connection to the character of Jesus Christ, understand how much He is involved in your life, and discover how knowing Him better makes your life better, too. Great write-up. How fabulous that she gives away 100% of proceeds and that’s its available on Amazon.